Joel writes, "Artist's Reception rescheduled for Thursday, April 11, 2013. 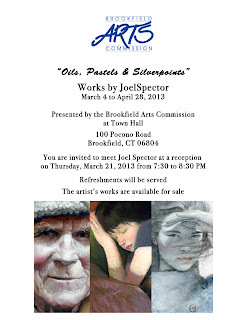 I hope you could stop in for a few minutes and view the the show. Refreshments will be served."